Dennis Stroughmatt recreates the hit country music sounds of Ray Price’s Cherokee Cowboys in this fast-paced stage show. You’ll hear music from the era when a fiddle, a steel guitar, and a good song reigned supreme, as well as the honky-tonk music of Hank Williams and the western swing of Bob Wills. Growing up to the sounds of the Grand Ole Opry, Dennis Stroughmatt was born into country music. Friends have joked that Ray Price was his vocal coach. Hearing Ray Price’s Cherokee Cowboys booming through the stereo speakers made him want to sing and dance. He dreamed of one day playing the music of the Cherokee Cowboys and great fiddlers like Tommy Jackson and Buddy Spicher. Fast forward to a few years ago, when Dennis had the chance to meet and study with Buddy Spicher. Buddy was there on those original recordings, and he helped create the Ray Price sound. When Buddy mentioned that it might be fun to record and he could get some of the original Cherokee Cowboys back together, Dennis knew there should be no waiting. They recorded the album Talk to My Heart: A Tribute to the Cherokee Cowboys in December 2013, featuring musicians who had performed and recorded with Ray Price and Buck Owens’ Buckaroos, along with the country legend Tony Booth on vocals. 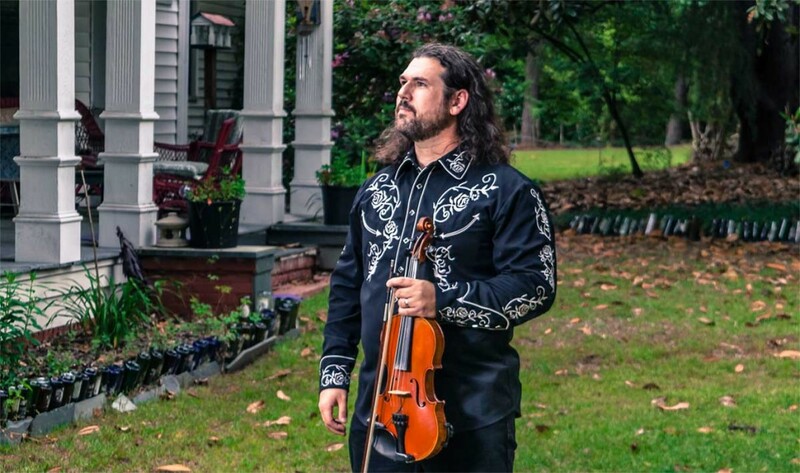 And now Stroughmatt is touring with his fast-paced tribute show that will take listeners on a journey through the history of the music of Ray Price and the Cherokee Cowboys, as well as their musical influences. He will be backed by a top-notch country band, which may include some of the original Cherokee Cowboys. Born and raised in southeastern Illinois, Dennis Stroughmatt is an authority on French Creole music, traditions, and culture of the Illinois Country/Upper Louisiana region. With his traditional band l’Esprit Creole and the Creole/swamp pop dance band Creole Stomp, he has performed across the United States and Canada to audiences both large and small, at venues such as the Kennedy Center, Library of Congress, Smithsonian Folklife Festival, and the New Orleans Jazz Festival. In April 2014, he released the album Talk to My Heart: A Tribute to the Cherokee Cowboys, featuring musicians who had played or recorded with Ray Price, including fiddler Buddy Spicher, guitarist Pete Wade, pianist Hargus “Pig” Robbins, and Mike Sweeney on steel guitar – as well as drummer Willie Cantu, who played with Buck Owens’ Buckaroos, and the country legend Tony Booth on vocals.